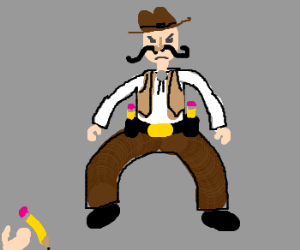 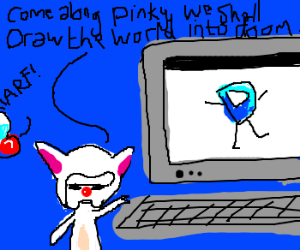 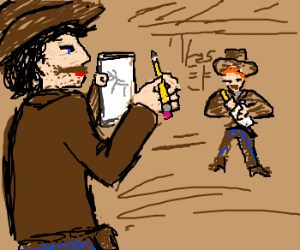 Brain tells Pinky they will play Drawception. 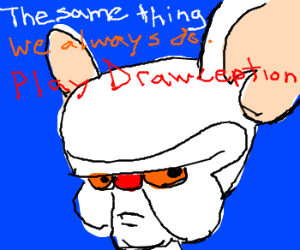 Narf! 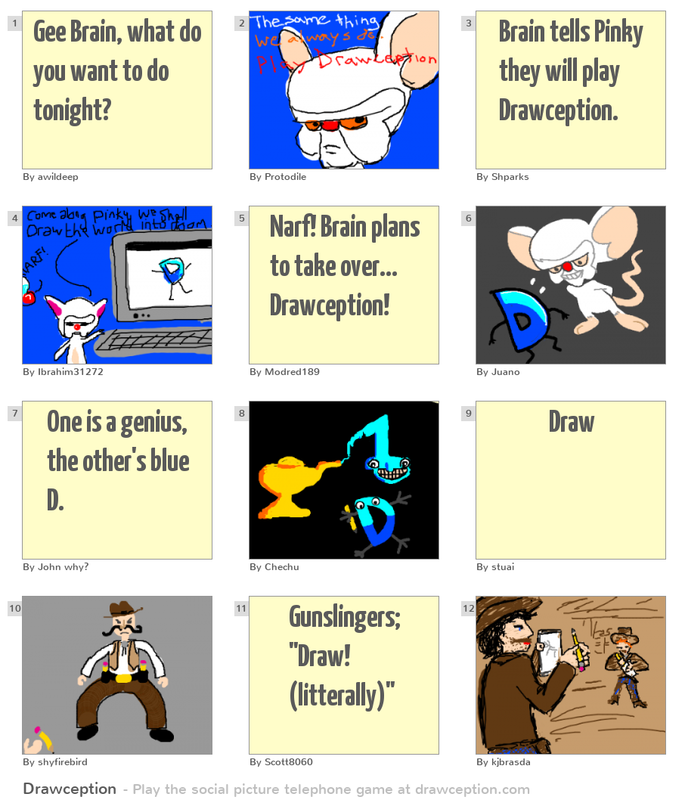 Brain plans to take over... Drawception! 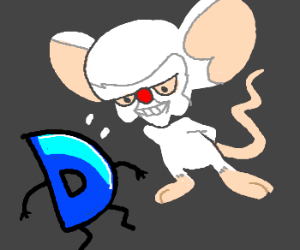 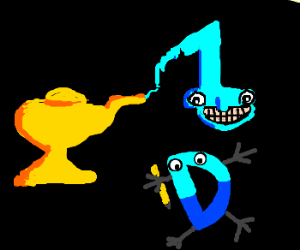 One is a genius, the other's blue D.